The cars your parents drive when you are a kid can have a big impact on your development as a gearhead. My good friend Andy is a textbook case of the parents influencing the son through the choice of their cars. 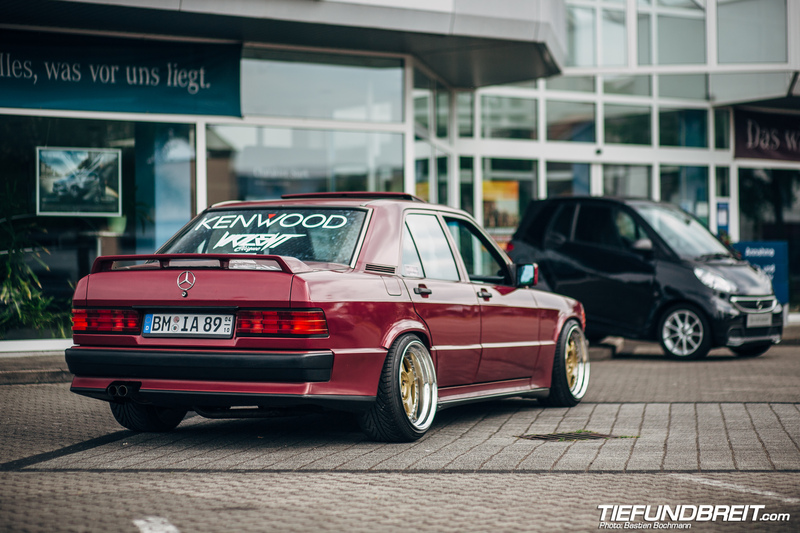 Andy grew interested in the predecessor to the C-Class when his mother owned a lowly 190E 1.8 when he was a teenager. 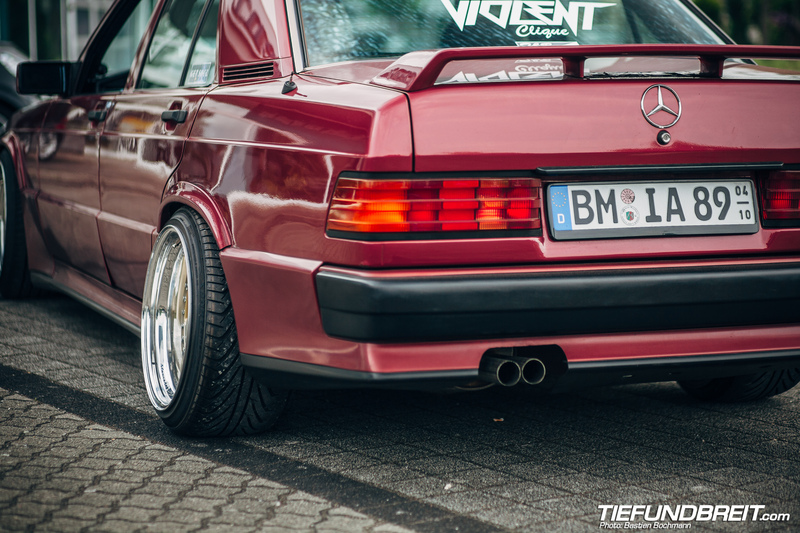 Add to that the 190 2.5 16v he saw every day on his way to school and on top of that finding out that his deceased father’s first car was a 190E as well… a connection was formed between Andy and Mercedes’ smallest sedan. When he caught a documentary about the DTM in the 80ies and spotted the Evo 2 model, it was over – the 190E would be defining Andy’s life for the next few years. He has owned several 190Es so far and this particular example, a 2.3 16v, was bought in November 2009. He went through several different stages with the car. He kept it stock for about 2 years which is when he was bitten by the motorsports bug. With some suspension mods, bucket seats and Evo 2 style wheels in 17″ the car proved to be fun on the track. But he eventually grew tired of the bucket seats and had no real interest any more in track driving and went back to the stock part leather, part plaid seats and installed some 17″ AMG wheels from a SLK. The next stage was with lower suspension and 16″ Rial mesh wheels in 8 and 9 x 16. The car’s fitment got gradually better. Last winter Andy moved into the garage next to my own workshop and has been working on getting the car ready for this season. He finally got the car ready a few weeks ago and it is now sitting on a set of OZ Futura split wheels in 9.5 x 17 up front, wrapped in 215/40 and 11 x 17 with 245/35 in the rear. The rear fenders had to be modified quite a bit to ensure that the wheels fit without rubbing, but in the end it worked out. Additionally, Andy installed some camber arms in the rear and some adjustable top hats out front. 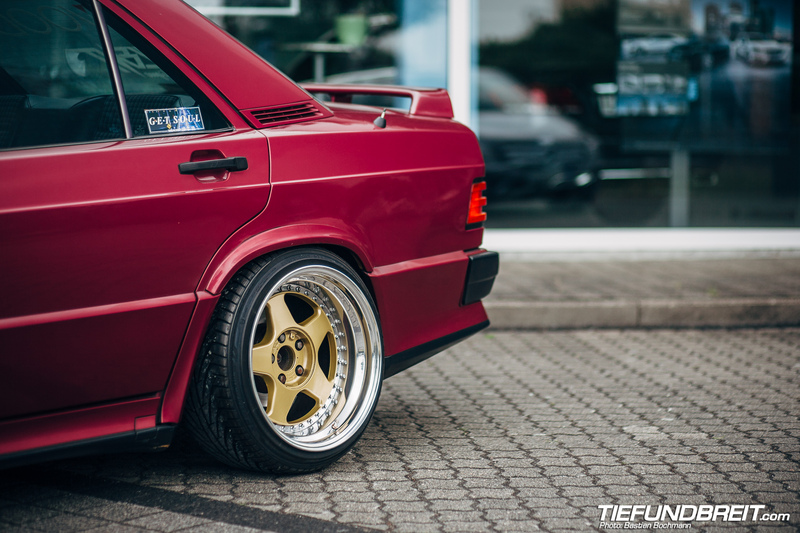 Together it really nails the fitment. The car looks incredibly tough and mean rolling even though it’s not the lowest. He installed a dished EMS steering wheel in the interior and is in the midst of installing some bucket seats. The driver’s seat was already installed by the time we took the photos, but the passenger seat still needs to be done. Over the winter he plans to add a roll cage as well. The end result is a car that is definitely not everyone’s cup of tea. Purists scratch their head, typical scene people disregard it because it’s not a bagged Golf or BMW, and the car definitely has it’s flaws, mostly the paint. It wears it’s scars with pride though. And standing before it, you definitely notice them – stuff like the heavily rock chipped front bumper, not so perfect paint due to a so-so repaint by one of the previous owners and other such imperfections. Many people will disregard the car for that, because it’s not a pristine showroom special. I love it all the more because of this. 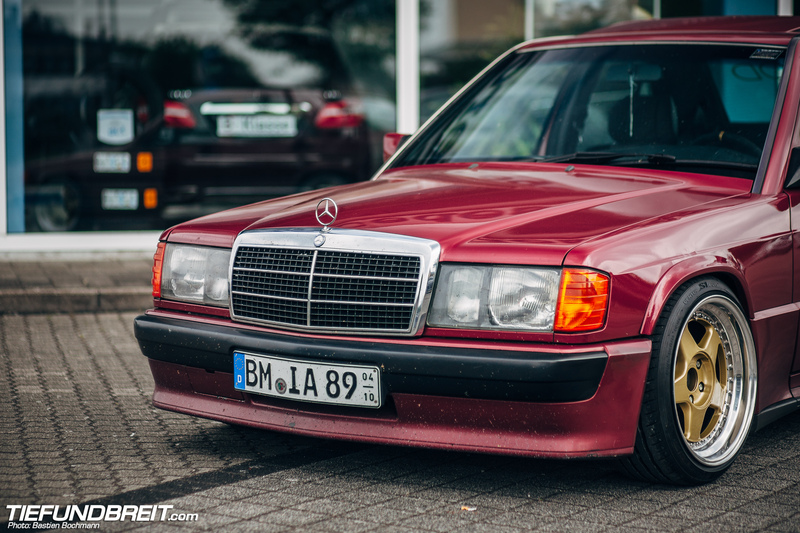 Andy’s 190E is not afraid to show it’s flaws, instead it wears them with pride and manages to make them work. The car has incredible amounts of attitude. Together with the awe inspiring screaming of the 2.5 16v engine when Andy flogs it down the road, it makes for one incredible package. That is not to say that Andy is done with the car. He has lots of things in mind for it and quite a few plans. This car will keep evolving for sure. You can be sure that I will keep you guys updated with whatever changes he ends up doing to his cars. I’ve been looking forward to sharing Andy’s car with you readers for quite a while. Ever since I got to know Andy, we’ve become good friends and it is genuinely refreshing to meet someone such as him in today’s car scene. Andy is a genuine gearhead who can appreciate all forms of car culture and that in itself deserves respect. So here’s to many more miles with your beloved Benz, Andy!